It takes along time to setup a developer workstation for sap (can take days), so long that we fear updating our OS's by fear of breaking the SAP engine and having to waste time restoring it. Only limited, non desktop/developer friendly, OS's are supported by SAP J2EE engine. 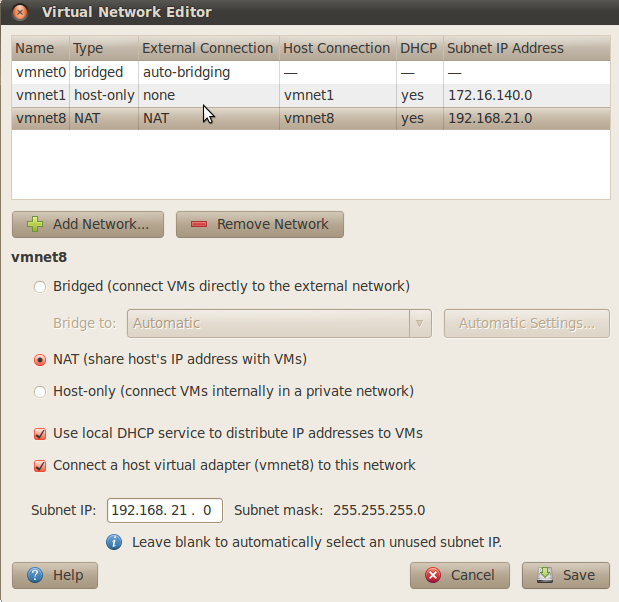 A full SAP NW Server in VmWare, pre-installed and pre-configured which can be easily and quickly copied/ported/replaced and runs independently of the computer OS. Local(vmware), dev, test and prod ISA where pre-configured in visualadmin. Copied the pre-made SAP engine vmware image. User to log with is sapuser (SAP starts on it's own so no need to login). java_projects folder contains custom classes and sap/tomcat patches to make it work. Check JCO dependencies with ldd /usr/lib/librfccm.so to find what libs are missing. "Run" tab, select tomcat6, enable checbox "deploy on save"
You can now edit and debug JSP's without any restart/deploy needed. The same "b2c_sealy" project is used for both b2c_pcoast and b2c_sealy sites in tomcat, you can choose which one to run by running the ant task (build.xml) called swith-to-pcoast or switch to sealy before doing the run/deploy.